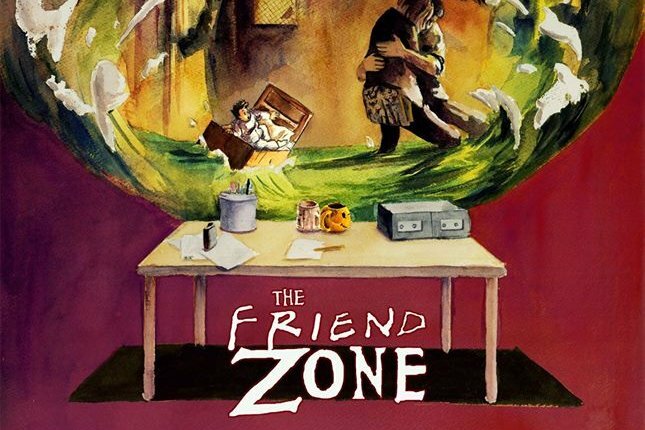 The movie poster for "The Friend Zone," a short film by Philadelphia filmmaker Robert Jaffe. Many of us have been stuck there. You're meant to be with this person, you know her/him better than anyone, and it's just a matter of making the romantic breakthrough. He/she, meanwhile, values your friendship and views you as another sibling. Movies typically approach the friend zone as a theme with the systematic quirk and mush that keeps the romantic comedy genre chugging along. Not so for the aptly-titled "The Friend Zone," an upcoming short from Philadelphia filmmaker Robert Jaffe. In terms of genre blending, if you think of this as a blend of "Friends" and "The Twilight Zone," that kind of works. Because it’s about people who think, “Oh, this is not a big deal, everything is cool.” And then underneath it all there’s this growing horror. The moment that David is giving Lynne the mix tape, that’s not really played for horror per se, but in my mind when you’re watching her face and you see her doing the calculations of how she’s going to get out of this moment, that’s a little horrifying. Scary indeed. You can read Jaffe's entire interview here, and you can find out more about the film here. Watch the trailer below.